Bestival has joined a handful of UK festivals in inviting drug safety charity The Loop to this year's event to set up on-site testing facilities that it is hoped will promote harm reduction. The event, which last year moved from its original Isle Of Wight base to Dorset, drew attention last year around the use of drugs on site following the death of 25-year-old Louella Michie as a result of a drugs overdose. "In the interests of public safety, Bestival has always strongly advised festivalgoers to avoid taking any illegal substances," a spokesperson representing Bestival told The Independent. "However, harm reduction and customer welfare are our priorities, so we are working with agencies to explore all public health options to ensure audience choice and safety." 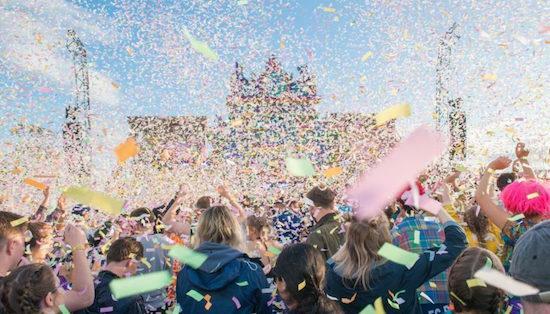 Bestival will join the likes of Parklife, Kendal Calling, Boomtown and Love Saves The Day in inviting The Loop to set up on-site testing facilities this summer. Attendees of all of those festivals will be able to test their drugs without fear of being arrested. Previous testing at Secret Garden Party, which took place for the last time last year, has seen warnings around potentially harmful drugs circulated around the festival site. Many major UK festivals have yet to invite The Loop to set up their facilities on site, with Festival Republic, the organisation behind Reading & Leeds, recently going cold on the possibility of hosting the charity's facilities having previously expressed an interest.